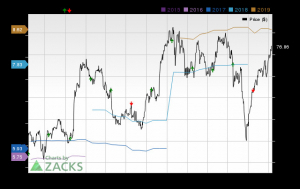 Synchrony Financial (SYF) Q3 Earnings: What's in the Cards? Synchrony Financial SYF will release third-quarter 2018 results on Oct 19, 2018, before the market opens. Last reported quarter, the company delivered a positive earnings surprise of 12.20%. Synchrony Financial’s performance is likely to be driven by its strategic investments. Its constant efforts in data analytics and consumer financial services are other factors that are likely to boost revenues. 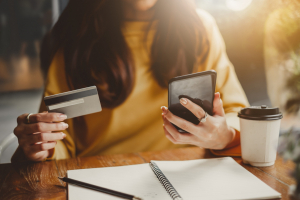 The company’s growing digital innovation has likely resulted in high online purchases because of its active alliances to improve purchasing options and valuable benefits. It might be another driving factor for the company’s growth. Its tactical collaborations such as the one with Lowe’s are likely to drive sales through a strong consumer offering. Strong deposit generation and high loans receivables would also fuel growth for the company. The Zacks Consensus Estimate for revenues is pegged at $3.9 billion, reflecting a year-over-year increase of 10.9%. A lower tax incidence due to recent tax rate cut will likely aid the company’s bottom line. The Zacks Consensus Estimate for earnings is pegged at 80 cents, up 14.3% year over year. However, costs are likely to escalate because of initiatives like investments in sales platforms, expenses due to streamlining back office etc. The company expects 30 plus delinquency rate during the third quarter, representing a modest impact from normalization along with the effect of underwriting refinements. The reserve build is expected to be within the $125-$150 million range for the company. In the quarter under review, the reserve build related to the PayPal portfolio is likely to be in the $300-$325 million band for a total reserve build of $425-$475 million. The company’s funding profile is likely to get solidified, backed by its strong deposit base. The company has likely deployed capital in a disciplined manner by returning the same to its shareholders and enhancing their value on the back of an impressive balance sheet. Our proven model conclusively shows that Synchrony Financial is likely to beat on earnings this reporting cycle. This is because the stock needs to have the right combination of a positive Earnings ESP and a favorable Zacks Rank #1 (Strong Buy), 2 (Buy) or 3 (Hold) for this to happen. Earnings ESP: Synchrony Financial has an Earnings ESP of +1.04%, raising confidence of a likely earnings surprise. This is because the Most Accurate Estimate is pegged at $0.81, higher than the Zacks Consensus Estimate of $0.80. You can uncover the best stocks to buy or sell before they are reported with our https://www.zacks.com/premium/esp-buy?adid=zp_article_espfil...">Earnings ESP Filter. 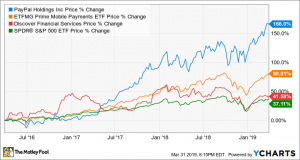 Zacks Rank: Synchrony Financial carries a Zacks Rank #2, which increases the predictive power of ESP. Ameriprise Financial, Inc. AMP is set to report third-quarter earnings on Oct 23. This #2 Ranked stock has an Earnings ESP of +4.30%. You can see https://www.zacks.com/stocks/buy-list/?ADID=zp_1link&ICI... _1link">the complete list of today’s Zacks #1 Rank stocks here. Banc of California, Inc. BANC has an Earnings ESP of +6.95%. The company with a Zacks Rank of 2 is set to report third-quarter earnings on Oct 25. 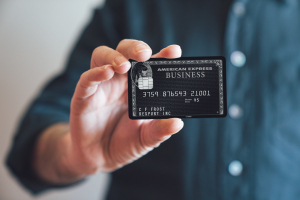 Discover Financial Services DFS is set to report third-quarter 2018 earnings on Oct 25. The stock has an Earnings ESP of +0.54% and is a Zacks #2 Ranked player.